The Quill traveled with Orlin and Ruth Olsen of Raritan to Blue Bell Creamery in Brenham, Texas. They visited Ruth's sister Wanda Denton, her son, Allen Denton, and her daughter, Linda Weatherly in Houston, Texas. 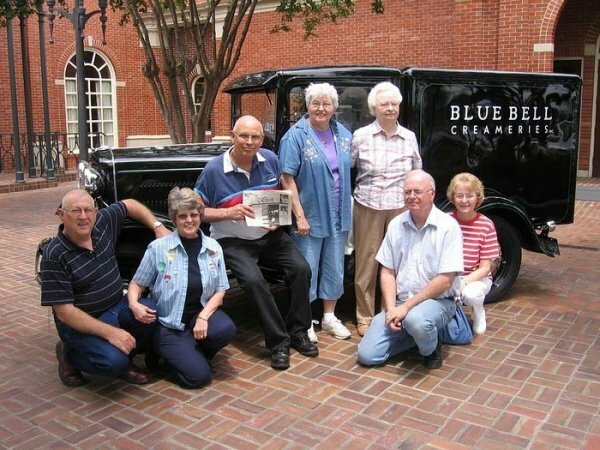 They all visited with Harold and Barbara Lindgren in Brenham having lunch at Must Be Heaven and touring the Blue Bell Creamery. From left is Harold and Barbara Lindgren, Orlin and Ruth and Wanda Denten and Allen Denton and Linda Weatherly in front (right). 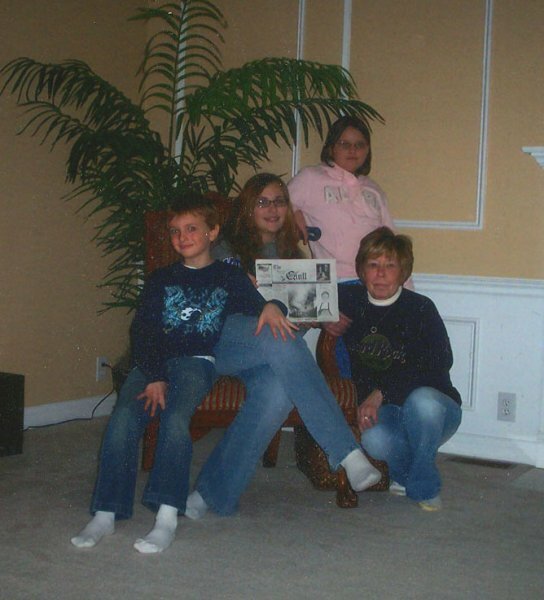 The Quill traveled to Walton, Kentucky with Larrie Schaley and Bonnie Harr on February 16-20 to visit in the home of Jackie and Bill Phipps and children. Birthdays were celebrated for Larrie and Andrea Phipps. Pictured from left are Aunt Larrie (far right), Andrea (in back), Sharayah (center) and Joshua.